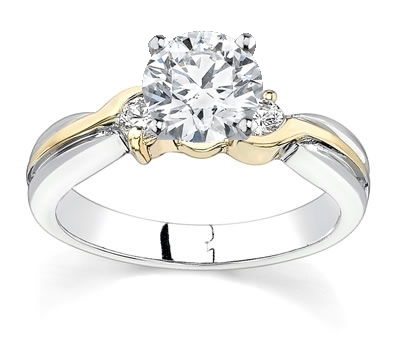 This unique design is set with 2 brilliant round cut diamonds on either side of the sparkling center diamond. Combining 14k white gold and 14k yellow gold gives this setting a versatility not commonly found in engagement rings. Having the dual metals in this ring gives a feel that is both contemporary and traditional!